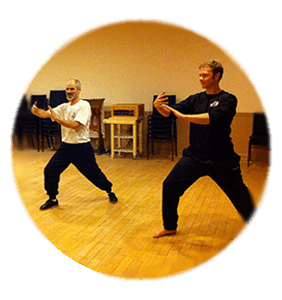 Tai Chi is a Moving Meditation. It is the most practiced exercise in the world and has passed the test of time. This slow and meditative art improves the circulation of chi through the organs, nourishing the immune system and energizing the body. 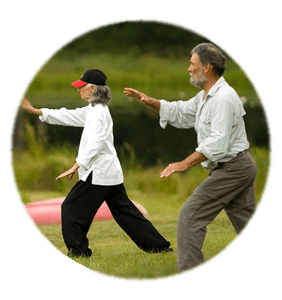 The practice of Tai Chi relieves stress and calms the mind, stretches and strengthens the ligaments, tendons and gradually tones the body. 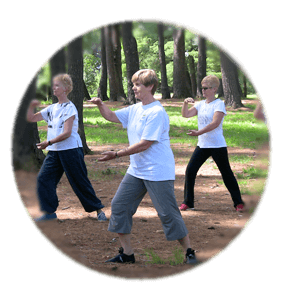 Tai Chi improves balance, strengthens the joints and increases mental focus. 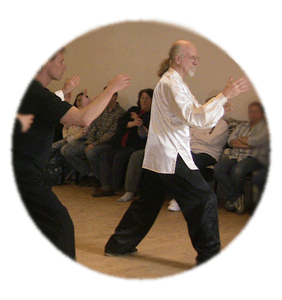 Tai Chi Chuan is an internal art stimulating and increasing the power of Chi , the intrinsic life force energy. 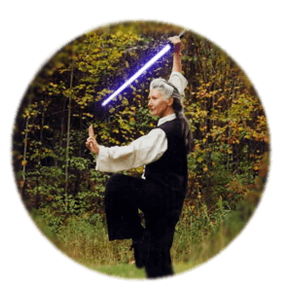 For those interested in the Martial Arts side of Tai Chi, it specializes in cavity strikes, throws, and has a vast arsenal of locks (chin-na). This soft style approach to combat yields to and joins with the incoming force. 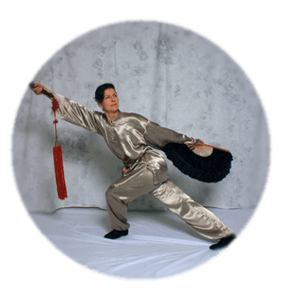 Rooted in the Dantien (center of gravity and chi) circular whip-like motions, and precise targeting make Tai Chi Chuan one of the most advanced and complete forms of martial art. 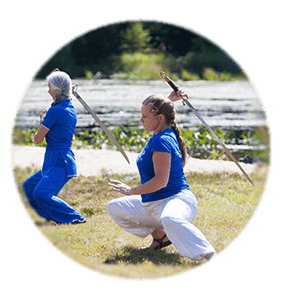 Tai Chi Program also includes Straight Sword, Sabre, Staff, Spear and Fan for those who would like to advance in these areas of practice. 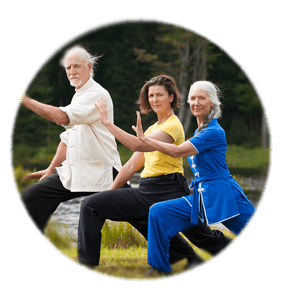 The many Health Benefits of Tai Chi include relief from Arthritis, lowering of high blood pressure, relief from allergies, strengthening of the cardiovascular system, production of endorphines which helps produce a more positive outlook, improved memory and much more.